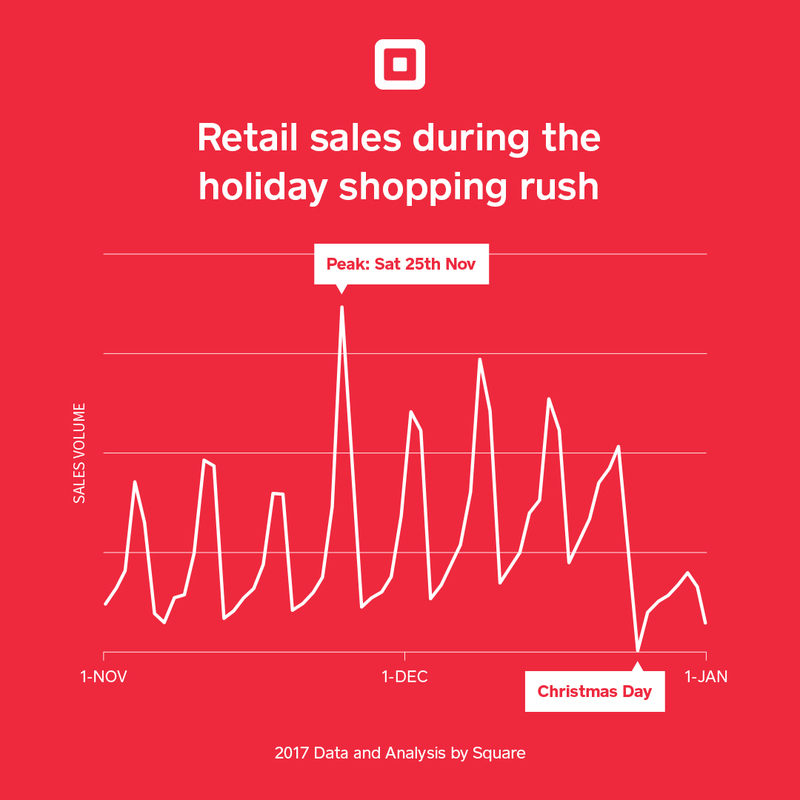 With Christmas Day just over a month away, Square is celebrating the summer holiday season with a gift to help businesses across the country prepare for this year’s spending rush: sales data. 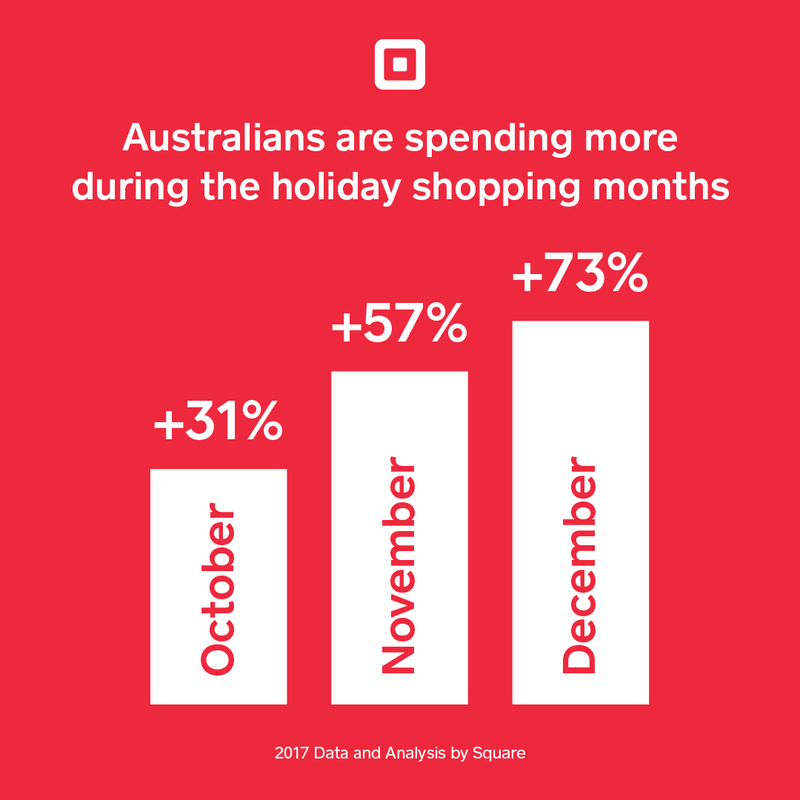 We crunched the numbers on the millions of sales made by Square businesses across Australia in 2017 to determine the most popular trading days, and even the time of day businesses were making the most sales. We also did a deep dive on the industries doing the biggest turnover in the lead up to Christmas. Here’s a roundup of what we found. When do customers start spending more? 73% in December, which saw sales at their peak. 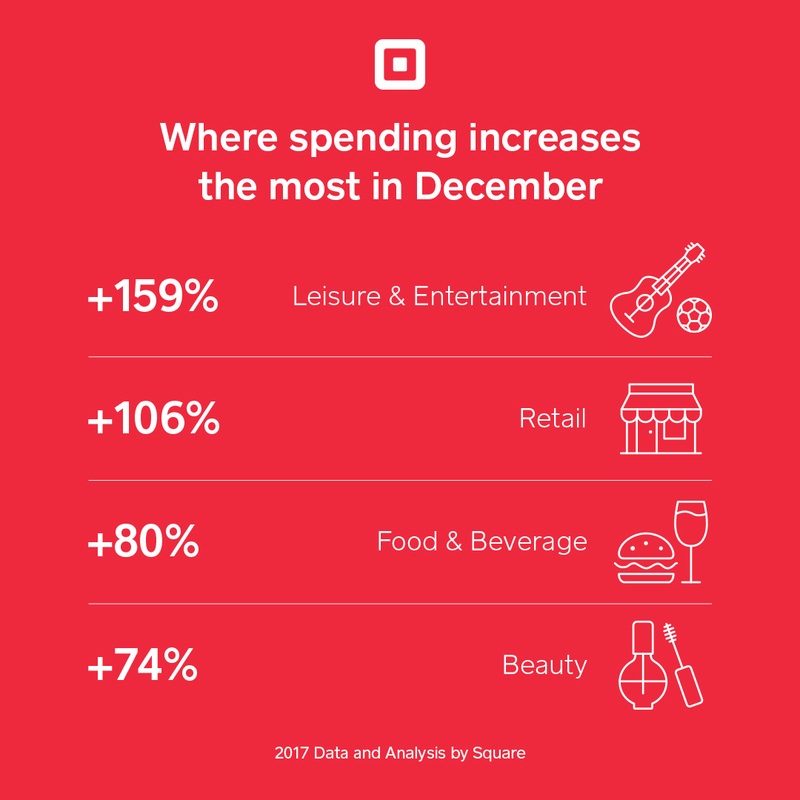 Where are customers spending the most in December? The industry with the biggest trading spike, and somewhat unsurprisingly given the popularity of events and activities towards the end of the year, was leisure and entertainment. Turnover for these businesses more than doubled in December 2017, an increase of 159%. Retail businesses also saw a huge spike in December, with turnover increasing 106%, compared to their average monthly trade. 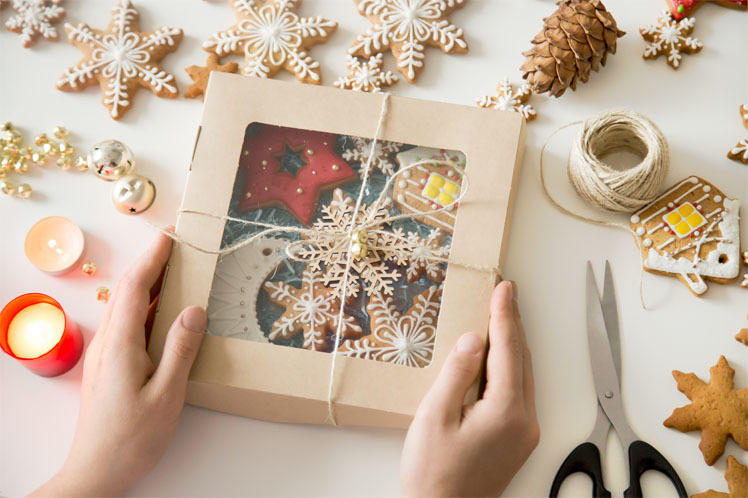 Rounding out the top performers was food and beverage businesses, doing 80% higher trade, and beauty businesses which also added 74% more sales in the lead up to Christmas compared to other months. When do Christmas sales hit their peak for retailers? Last year retail businesses experienced much heavier weekend trade increasing through the month of November, culminating with the biggest retail trading day exactly a month out from Christmas, on Saturday 25 November. 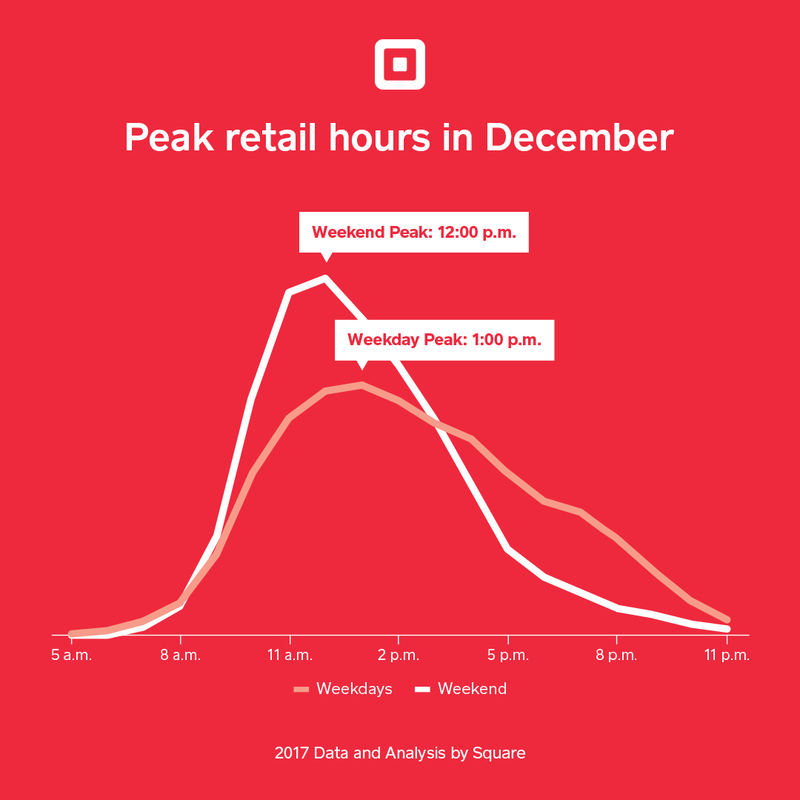 While December generally saw much higher trade throughout the month, volume spiked significantly on weekends, with retail sales hitting their peak at 12 noon on a weekend, compared to 1pm on a weekday. We saw the popularity of eCommerce grow again last year when looking into online versus in-store spending. Businesses selling online in 2017 saw a significantly higher proportion of sales over December, turning over 108% more than average month, while purchases rose just 79% for businesses selling in-store.